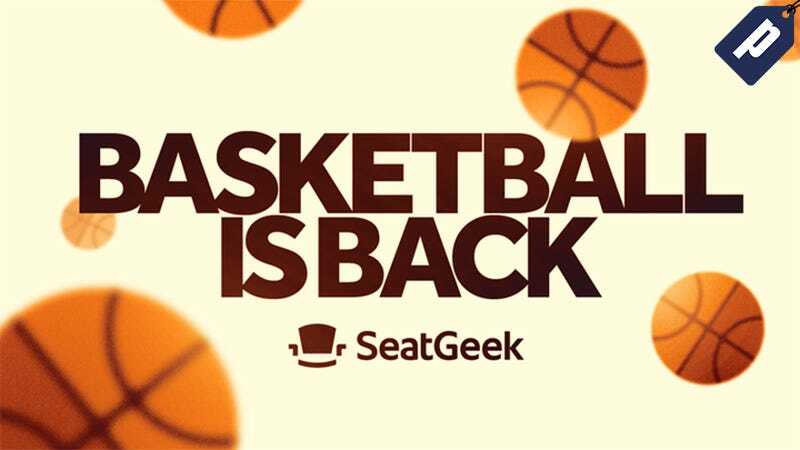 Basketball season is approaching fast, so buy tickets to see your favorite NBA team or sell extras you can’t use with SeatGeek. Readers get $20 back on their first order to any event using code LIFEHACKER. SeatGeek pools the tickets of every trusted ticketing site (from major marketplaces to individual brokers) in one place to save you time. Whether you’re looking for tickets to professional sports, college games, concerts, theatre, comedy, or any other live event, you’ll find the deals at SeatGeek. Mobile tickets are now available and allow ticket delivery directly to your phone so you never have to print again. Instantly transfer or sell your tickets right from the app, so you don’t have to worry about meeting up before an event. With the app you can confidently buy your tickets in two taps and all tickets come with a 100% authenticity guarantee. SeatGeek sets itself apart from any other ticketing site. Receive $20 back on your first order now using promo code LIFEHACKER (valid for first time customers only).